Latex is one of the fastest growing segments of the Sleep Industry. 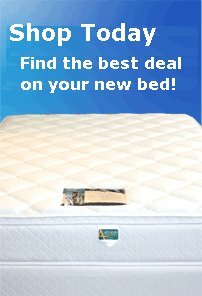 With new mattress inovations being made every month, the latex mattress is at the cutting edge of once stagnant mattress technology. There are few products that offer as much posture-positive support while remaining extremely resistant to bedbugs, dustmites and allergens. Natural botanic latex is also one of the cleanest and most non-toxic options available for a sleep surface. Shop our unrivalled selection of latex beds and see for yourself why this bed is so far superior to evey other option out there.